A sizeable chunk of the novel is set in Marseille where the narrator Siedler (or is it Weidel?) and his companions dine on slices of pizza, all washed down with copious quantities of rosé wine. I had intended to write about rosé at the time, but winter was fast approaching and to my mind this style of wine is best enjoyed in the sunshine. We’ve had some decent weather in the UK over the last week, so I opened my first rosé of the year, a wine from Corsica. I get a bit annoyed when people dismiss rosé as “girly” or “not a serious wine”. (Even terms like “pink drink” set my teeth on edge a little.) There are some very sleek rosés around these days. My favourites include the pale and delicate rosés from Provence, wines from producers like Domaine Houchart and Domaine Rimauresq. Earlier this week I tried a different rosé, the latest vintage of a favourite wine from Corsica: The Society’s Corsican Rosé, 2014. This is a delicate and elegant wine, a crushed-berries-and-cream rosé made from Nielluccio (Sangiovese) – there may be a touch of Sciaccarello and Grenache in the blend, too. It’s dry and refreshing, with a slightly creamy note that balances the acidity of the fruit. A delightful wine, possibly the best vintage yet. It’s produced by Clos Culombu, and I’ve enjoyed their wines for several years (they also make a delicious, slightly herby white from the Vermentino grape). Transit gives few details about the wine Siedler/Weidel and his companions drink in the Marseille pizzeria, but I’d like to think that any of the rosés mentioned here would make a fitting match. 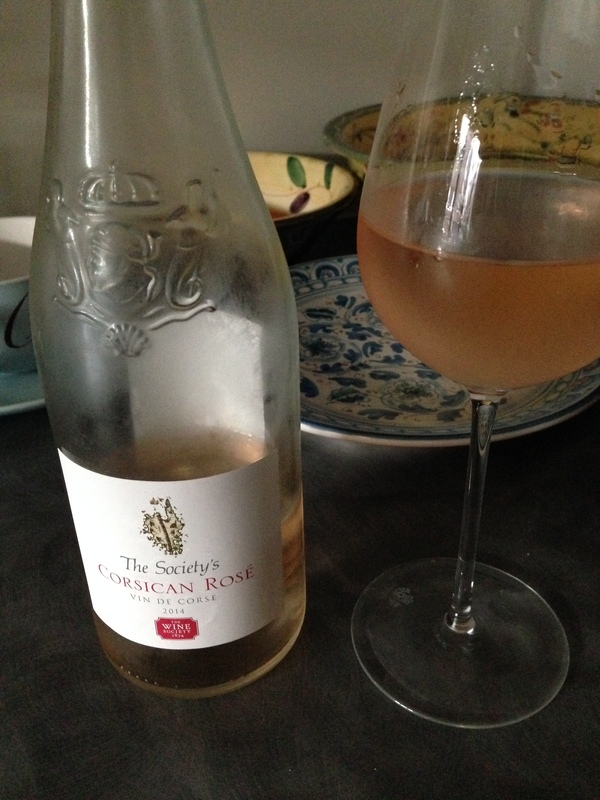 Wine stockist: I bought my bottle of The Society’s Corsican Rosé, 2014 from The Wine Society, priced at £8.95 per bottle. Transit by Anna Seghers (tr. Margot Bettauer Dembo) is published by NYRB Classics. Source: personal copy. This entry was posted in Book Reviews, Seghers Anna, Wine Notes and tagged #GermanLitMonth, #ReadWomen, #ReviewWomen2015, #WomeninTranslation, Anna Seghers, Corsica, Fiction, Germany, Literature in Translation, NYRB Classics, Rosé, The Wine Society, Wine, Wine Notes on April 19, 2015 by JacquiWine. Anna Seghers, born in Germany in 1900 to a Jewish family, fled from Europe following the German invasion of France in 1940. Seghers (a Communist) and her family sailed from Marseille to Mexico in 1941 and she began to write Transit, a novel inspired by her experiences as a refugee, shortly after her arrival. The novel was first published in English in 1944 but did not appear in German until 1948. Whilst en route to Marseille, our narrator acquires refugee papers in the name of Siedler. When he tries to hand Weidel’s case to the Mexican Consulate, the officials assume Weidel is Siedler’s pen name and that the two men are one and the same person. In an effort to secure some breathing space, our narrator goes along with this assumption and begins to look for Weidel’s wife. Our narrator, however, soon realises that Marseille is a place of departure; no one asks where you have come from, only where you are going to. In fact, the Marseille Prefect will only allow visitors to stay in the city if they can prove they are making arrangements to obtain all the necessary documentation for departure. In order to leave, a refugee requires a visa to enter the country of their destination, transit visas for all countries he/she will pass through on the journey, and an exit visa granting permission to leave France. Moreover, one or more of these visas may be dependent on other documentation: a birth certificate, lack of convictions or black marks on the traveller’s character, medical certificates…the list is endless. And each visa is valid only for a discrete period of time; if any one of these documents expires while others are being processed, the traveller must start the application sequence all over again. As our protagonist wanders the streets of Marseille, he encounters a variety of characters, each one memorably realised even if we glimpse them for just the briefest of moments. Marseille is a city of lost and frenzied souls forever waiting in line at various Consulates and Offices, streaming in and out of the bars and cafés. There is an almost ghostly quality to their existence; trapped in limbo they long for a chance to touch the elusive horizon which remains tantalisingly out of reach. And our narrator himself is torn; should he stay and try to establish a life in the South of France, or join the others in a desperate quest for a place on a ship? His thoughts and mood change as quickly as the Marseille weather. That’s about as much as I’m going to say about the plot, save to say that our narrator believes his future is inextricably linked to that of this woman, and he continues to pursue her. I found Transit to be an utterly absorbing and haunting novel, one that burrowed its way into my mind where it feels set to remain for some time. Siedler/Weidel’s story is a little like a spiral. Once in Marseille, he gets caught up in the circuit of bureaucracy that governs his status in the city. He continues to encounter the same characters again and again. He revolves around from one café to another, and several glasses of rosé and slices of pizza are consumed during a sequence of visits to the pizzeria. The narrative might sound a little repetitive – and to some extent it is – but I wonder if Seghers is deliberately using this circular structure to emphasise the seemingly never-ending chase and exasperating nature of life as a refugee. On a deeper level, this novel also contains references to mythology and to biblical themes. And with a nod to Weidel’s unfinished fable-like manuscript, the one he left in the suitcase, Transit’s story could be seen as possessing an existential and allegorical quality. Life is an impenetrable forest, ‘a forest for adults.’ Whichever way you look at it, Transit is a truly remarkable book, one that draws you into its unforgettable world. I read this book as one of my choices for Caroline and Lizzy’s German Literature Month. I bought Transit last year on the recommendation of a bookseller, and I’ve just discovered that a few other bloggers have reviewed it too. Here are some links to other reviews from Guy, Kaggsy and Tony Malone. 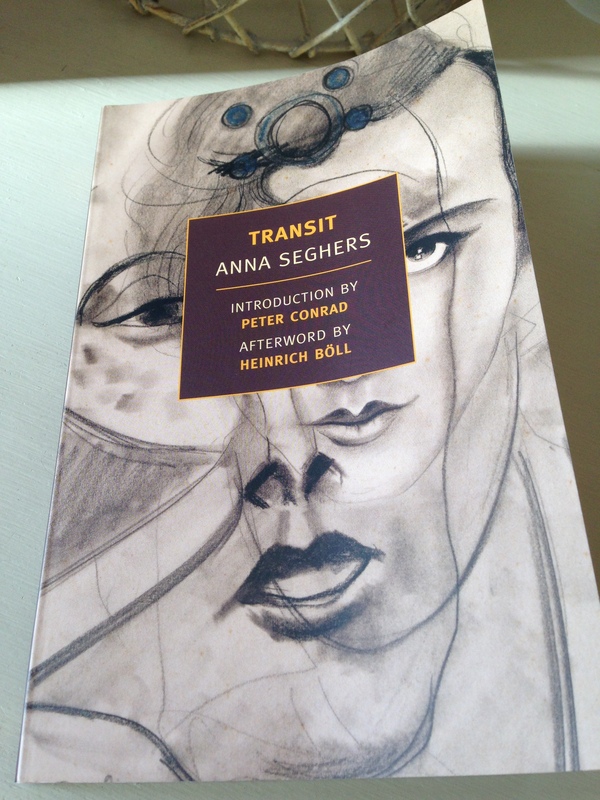 Transit is published in the UK by NYRB Classics, tr. by Margot Bettauer Dembo. Source: personal copy. This entry was posted in Book Reviews, Seghers Anna, Women in Translation and tagged #GermanLitMonth, #ReadWomen, #ReadWomen2014, #TranslationThurs, Anna Seghers, Book Review, Fiction, Germany, Margot Bettauer Dembo, NYRB Classics on November 12, 2014 by JacquiWine.